After more than 120 years, we continue to honor our tradition and build for the future. The Hickman, founded in 1891, is a non-profit, personal care community serving people of all races and faiths. The fulfillment of our mission is made possible through the generosity of previous and current philanthropic donors. Late in the 1800s, Quakers and area residents Sallie Sharpless and Lydia Hall saw a need to provide a safe and caring homelike environment for older single women who had no families to support them. 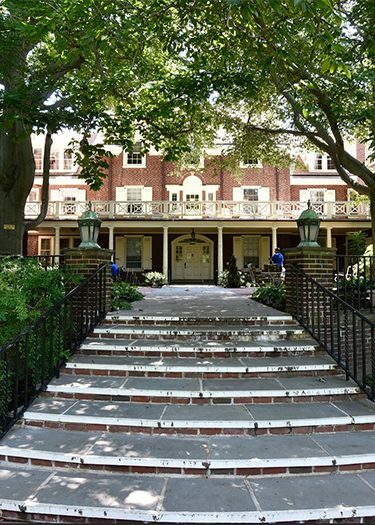 In 1891, their vision resulted in the first Friends’ boarding home in the Borough of West Chester, providing room, board and individualized care for older individuals. Located on an historic campus in the Borough of West Chester, Pennsylvania known as Quaker Hill, the original buildings were expanded, a new building added and in December 2016, The Hickman broke ground on the new Anna T. Jeanes Residence to be completed in 2018. The Hickman is a senior living community located in the heart of West Chester, Pennsylvania. Guided by Quaker principles and tradition, The Hickman provides individualized care and assistance to older adults who seek a safe and affordable living environment. The Hickman will be the heart of a comprehensive program of care and services for older persons. The quality of the personalized care which characterizes The Hickman for over a century will continue as we expand our facility and range of services. 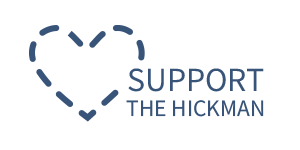 The Hickman believes that its community composed of Board, Staff and Residents, is enriched by its diversity. Quaker values lead to a policy of inclusion, of seeking out diversity and of nondiscrimination on the basis of race, ethnicity, religion, national origin, gender, age, ability or sexual orientation. Our commitment to diversity flows from our common Quaker identity and values. Friends believe that each human life is sacred – that there is “That of God in every person.” This conviction has led to more than three centuries of Quaker action to promote equality, respect for difference, and the dignity of all people. The Hickman is committed to making its community a part of this heritage.